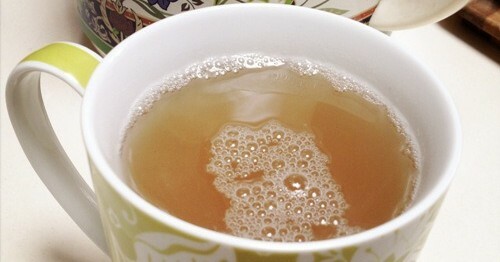 Chai-E-Zanjafeel is brewed with green tea, ginger and walnuts. It has a spicy, invigorating taste. It's used as a home remedy for indigestion, nausea, and to ward off colds, flu, and sore throats. Bring 3½ cups water to a boil in a pan, then add the tea and sugar. Continue boiling for about 2 minutes, then strain. Pour the tea back into the pan and add the ground ginger and walnuts. Bring a back to a boil and boil again for about 2 minutes.